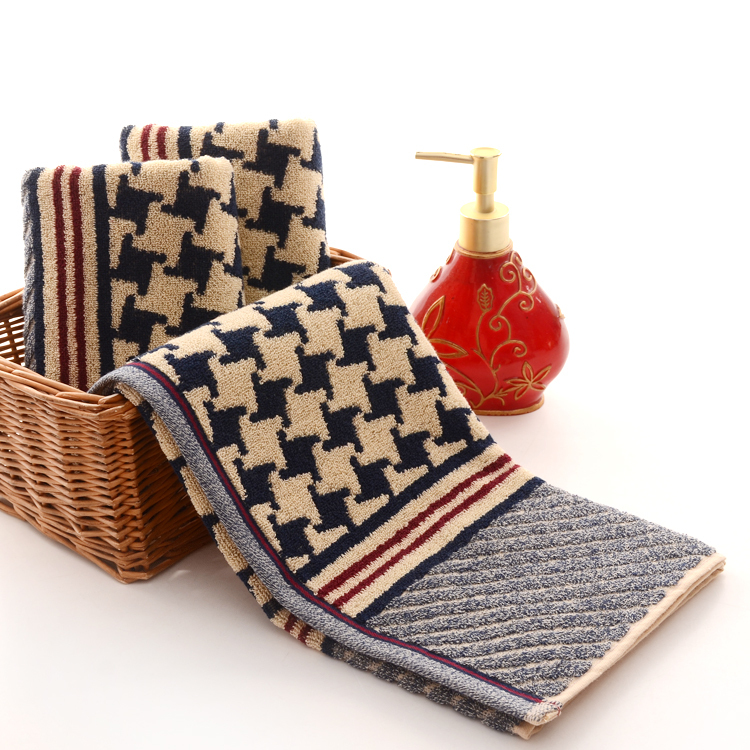 Wholesale Hand Towels, yarn dyed Cotton Face Towel, Jacquard weaving patterns both sides of these Cotton Hand Towels. These Towels are extremely absorbent and plush. Reverses to same pattern with inverted colors. Machine wash. 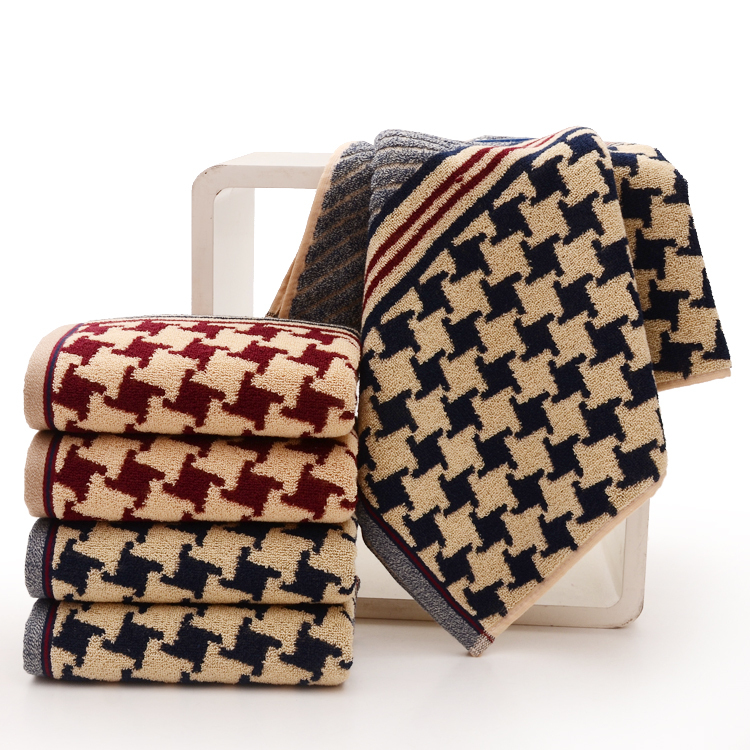 The Towel features a stylish pattern. 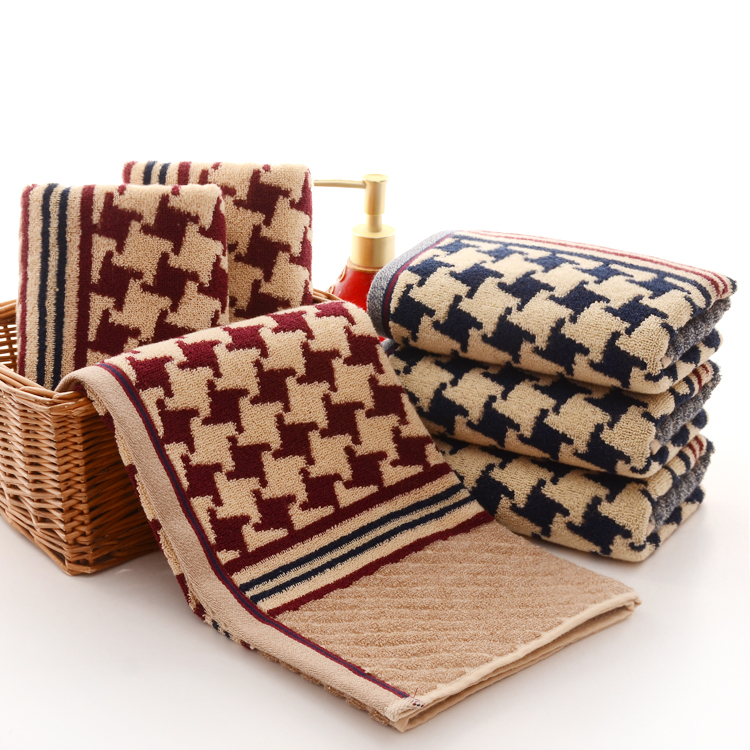 These towels are made from a beautifully patterned soft, cotton material. They are also available in various sizes, which is ideal for outfitting your bathroom. These hand towels are 50 percent more absorbent than standard towels. They are also quick drying. These fashionable towels are even fade resistant, so they will stand up to washing and keep their color longer. Cotton hand towels are durable for daily use, material is 100% cotton (or Polyester mixed according to customers' request). Looking for ideal Wholesale Hand Towels Manufacturer & supplier ? We have a wide selection at great prices to help you get creative. All the Cotton Face Towel are quality guaranteed. We are China Origin Factory of Cotton Hand Towel. If you have any question, please feel free to contact us.